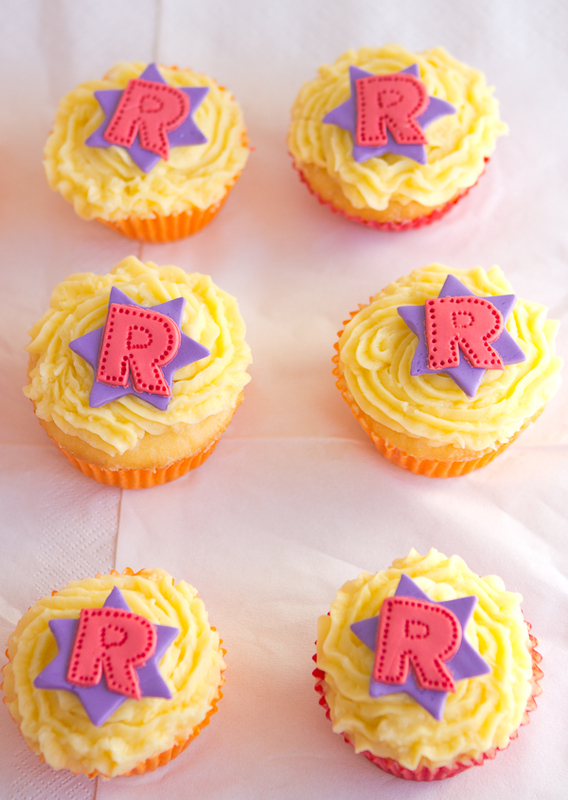 Little R cupcakes for my friend Rosalie’s birthday! 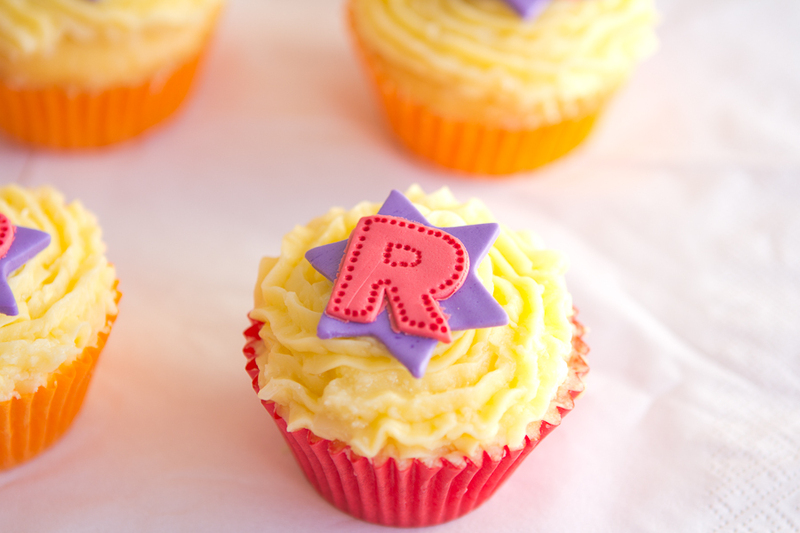 Simple and easy you just need an star cutter and an R cutter but you can always roll a bit of fondant and do the r with it (like here). – If you don’t want any particular shape, then use Nuttelex (or other margarine option). It’s way healthier and in the case of Nuttelex, gives the extra nutty taste. – If you forgot to take the butter out of the fridge and don’t like to use the microwave (ugh melted butter…), then just cut the butter on cubes and leave it nearby (in my case) on top of the oven (presumably hot from baking the cupcakes). 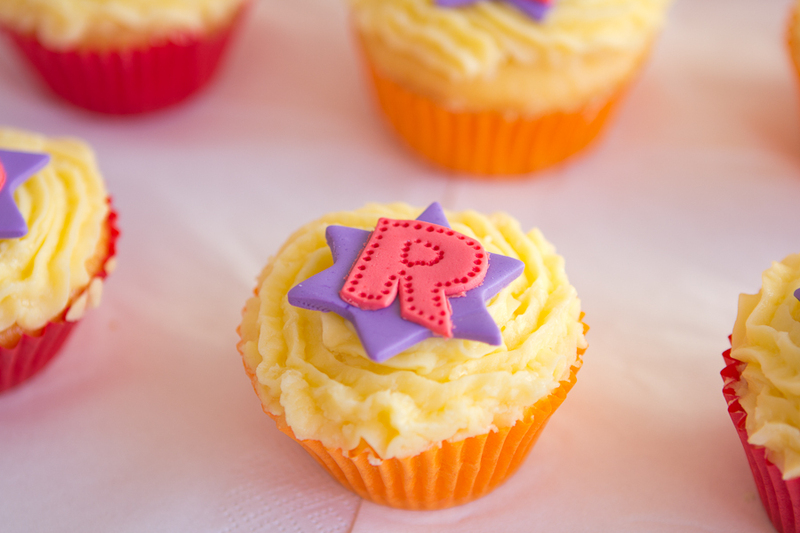 – Beat the butter for a while before adding the icing sugar (or any flavouring), it helps with the “fluffiness”. – If the icing is too hard to pipe, add a spoon of warm milk.